During my week in Israel I was blessed to achieve my goal of always davening with a minyan. In doing so I was fortunate to daven in many different synagogues each with their own history and significance. These included the following synagogues. A small shul in Kiryat Moshe were I davened mincha on Israel’s Memorial Day. Machon Meir where I attended maariv on Israel Independence Day. 3. The Kotel (the Western Wall) where I davened shachris on Israel Independence Day. 4. The Shtiblach in Katamon. 5. The tomb of Rabbi Shimon Bar Yochai in Meron where I davened maariv and shachris at vasikin. 7. Shachris at a small kabbalistic community near Meron called Or Haganuz (the hidden light). 8. 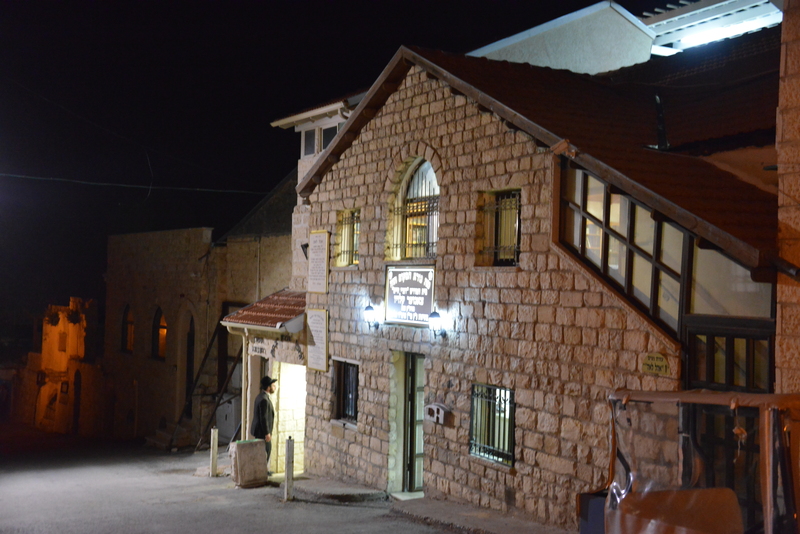 A shul across the street from Machne Yehuda in Jerusalem where the saintly Rabbi Aryeh Levin zt”l davened. 9. The Grah Shul in Shaarei Chesed where the great Rabbi Shlomo Zalman Auerbach zt”l davened. 10. The Klausenberg Kloiz in Tzefat established in the mid 1800’s by Shiniver Rebbe, the son of the Sanzer Rav . I also davened in several other synagogues where I was not able to photograph, including, the Yeshurun Synagogue in Jerusalem, Khal Chasidim in Shaarei Chesed and Lev Eliyahu in Beit Shemesh. All in all, though my days of saying kaddish have come to an end, my days of praying three times a day with a minyan, thank G-d, have not ended.